“A Tribute to George Strait Dinner Show” is one of the most intimate tribute shows in Branson that brings the dynamic duo of Gordy Wensel and Debby Kaye and honors the country legend with style, reverence, and impeccable attention to the voice, and the nuances that make George Strait a star among stars. Gordy Wensel performs authentic renditions to some of George Strait’s most popular songs, while his wife Debbie Kaye brings the music of some of the best female artists who have opened for George Strait to the stage. This husband and wife team is sure to wow you with their amazing country style and their amazing stage presence. The best part of the tribute show is a delicious meal served at 7, just an hour prior to the show. These tribute artists, Gordy and Debbie have been performing as a duet for more than a decade and have been entertaining audiences for more than 25 years. The dynamic couple have performed on Mickey Gilley’s very own TV show called “Gilley’s Place”. Mickey Gilley has been known to appear from time to time for guest appearances and have performed on several stages in Branson such as The Grand Country Theater, The Jim Stafford Theater, and even the Branson Mall Center Stage. Now, Gordy and Debbie can be seen in their latest project, the amazing tribute to George Strait right here in Branson at Jackie B. Goode’s Uptown Café and Dinner Theatre. Be sure not to miss to check out George Strait Tribute Dinner Show for a mouth-watering meal that includes Prime Rib, Shrimp, Country Fried Steak, or Hawaiian Chicken. You’ll enjoy listening in this captivating show hits like “Write This Down”, “All My Ex’s Live in Texas”, and “Love Without End, Amen”. Whether you’re a longtime fan of the country legend or just looking for an exciting night out in Branson, this is a show to watch for the entire family. This George Strait Tribute Show in Branson gives fans of the country superstar an excellent and intimate concert experience with delicious dinner. George Strait is the Grammy-winning king of country who’s nabbed more than a dozen awards from both the Country Music Association and Academy of Country Music. He has been named also as the Top Country Artist by Billboard Music Awards. With dozens of #1 hits on the country charts, it would take several famous singers added together to even come close to the accomplishments and industry accolades racked up by the legendary George Strait. Gordy Wensel, along with his wife Debbie Kaye, delivers a note-for-note perfect performance in this George Strait Tribute Show, singing scores of songs that helped make him a superstar. In addition to all that tribute songs from Gordy, Debbie Kaye delights audiences with songs from the many famous female artists who’ve opened shows for George Strait over the years. 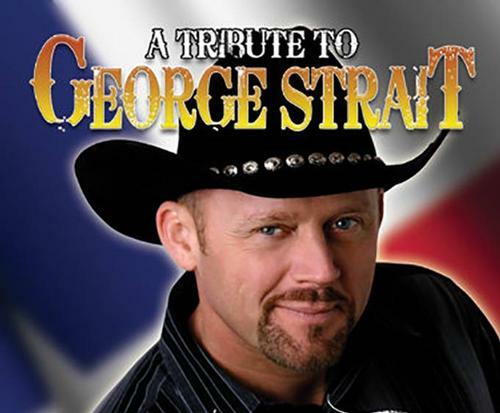 If you’re a fan of country music, don’t miss to watch A Tribute to George Strait Dinner Show in Branson where you’ll be treated also with a delicious meal.